The National Housing Bank has proposed to raise the capital adequacy ratio (CAR) for housing finance companies (HFCs) and cap their borrowing to 12 times their net worth, after the IL&FS fiasco exposed weaknesses in the profile of some HFCs. This is to be done in a phased manner, by March 31, 2022. Currently, the HFCs have to maintain a minimum CAR, consisting of Tier I and Tier II capital, of not less than 12 per cent, while their borrowings are capped at 16 times their net worth. The CAR will be increased to 13 per cent by March 31, 2020, to 14 per cent by March 31, 2021, and finally to 15 per cent by March 31, 2022. Similarly, the proposed cap on borrowing is 14 times of net owned fund (NOF) by March 31, 2020, 13 times by March 31, 2021, and 12 times by March 31, 2022. Moreover, the National Housing Bank (NHB) has proposed that the amount of public deposits that the deposit-taking HFCs can take should be capped at three times of their net worth. According to Karthik Srinivasan of rating agency Icra, “The draft guidelines are welcome from a systemic point of view. In any case, the proposed three-year road map provides HFCs with adequate time to adjust their business plans. We do not think the guidelines with have any immediate negative affect as most HFCs are within or near the suggested thresholds.” “Few HFCS may need to raise Tier 2 bonds to meet the 15 per cent capital adequacy levels,” he added. Ravindra Sudhalkar, executive director and chief executive officer, Reliance Home Finance, said: “Regulators need to make availability of capital easy for HFCs with a strong balance sheet, as the liquidity crunch is acting as a huge roadblock to the overall growth of the housing market. Going forward, availability of capital will play a crucial role particularly if we have to achieve the government goal of housing for all by 2022. Experts believe this is also been seen as step to bring NBFCs and HFCs on the same page when it comes to CAR. They also pointed out that though currently NHB allows borrowing by HFCs at 16 times their net worth, very few strong companies have leverage beyond 13 times their net worth and most are not beyond 10-11 times. This will phase out the HFCs that are non-serious and strengthen the remaining players. “As on today, most HFCs are closer to the proposed CAR of 15 per cent and the borrowing cap of 12 times their net worth. 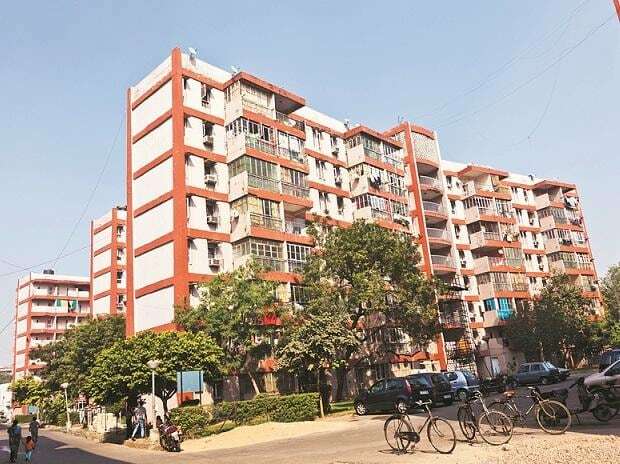 HFCs who find difficulty in complying with the proposed caps may sell their portfolio to free capital and become compliant,” said Deo Shankar Tripathi, managing director and chief executive officer of Aadhar Housing Finance.